This English language fortnightly magazine was launched in January 1950. It also soon had editions in Russian, Japanese, Chinese, French and Indonesian. We are not entirely sure when the English language edition was terminated, but it continued at least through 1957. 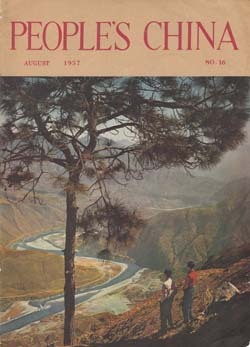 We believe its function was then replaced by the weekly news magazine Peking Review (which began publishing in March 1958) and the monthly feature magazine China Reconstructs (begun in January 1952). 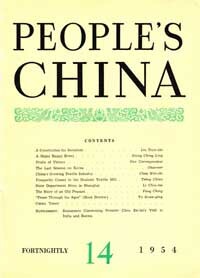 In later years only the Japanese edition of People’s China continued to be published. 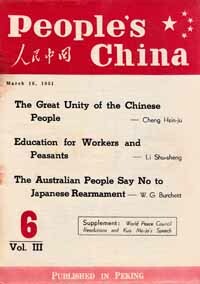 It should be remembered, of course, that this magazine appeared in the early years of the People’s Republic of China, and before the Great Proletarian Cultural Revolution (which is usually considered to have begun in early 1966). 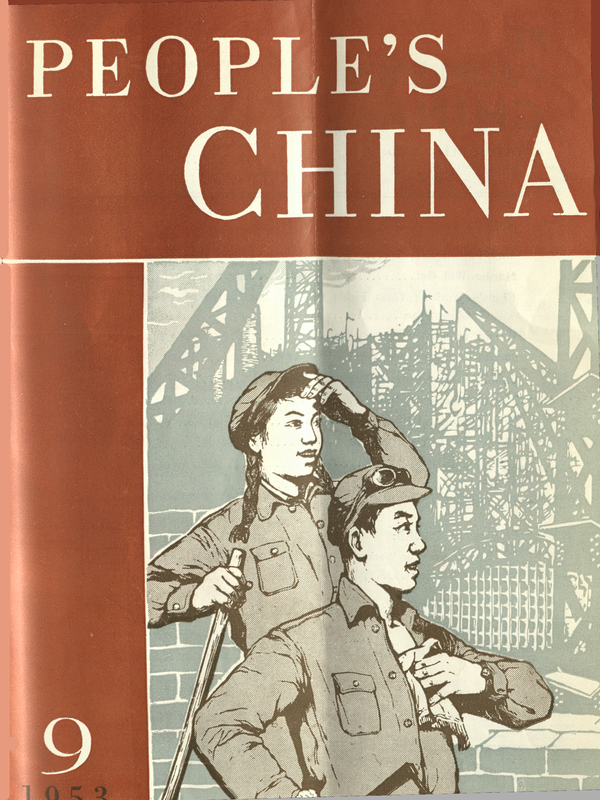 As such it contains some articles by individuals such as Liu Shaoqi and Deng Xiaoping who later proved to be capitalist-roaders and revisionists. Nevertheless there is much of interest here about the first years of the PRC. After 60 years it is very difficult to obtain copies of People’s China, especially considering that the U.S. government did everything it could at the time to block materials coming out of China. So far we only have a small number of the issues of this magazine available below. Moreover, some of these were scanned from copies in poor condition, with stains and damage from being stored in basements for decades. We apologize for this, and will scan and post copies in better condition if we can obtain them. Entire issue in Searchable PDF format, 30 pages. [9,234 KB] Missing pp. 28-29. Entire issue in Searchable PDF format, 39 pages. [10,665 KB] Includes supplement: May Day speech by Liu Shao-chi, 10 pages. Issue in WinDjView (djvu) format, 39 pages. [17,908 KB] Includes supplement: May Day speech by Liu Shao-chi, 10 pages. #8 — April 16, 1953:, 40 pages.